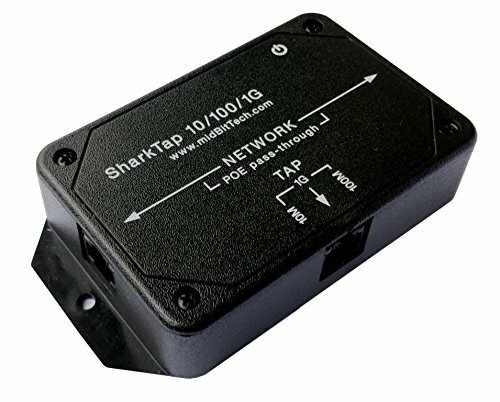 The SharkTap is a special purpose 10/100Base-T ethernet switch that allows you to 'tap into' an ethernet connection. It is intended to be used with the free Wireshark network analyzer or equivalent. Conventional switches route packets only to the intended destination port, reducing traffic, but preventing a third port from seeing all packets. 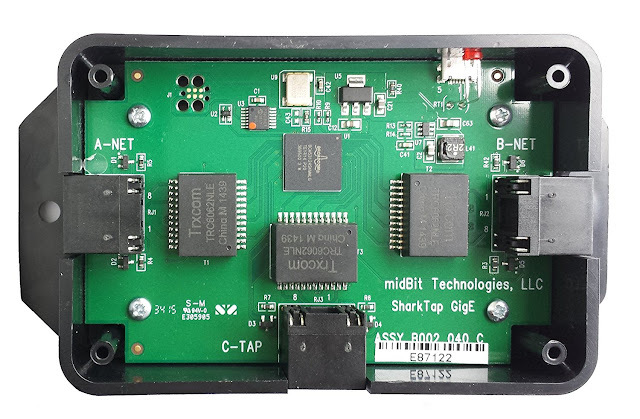 The SharkTap routes all packets to or from the 'NETWORK' ports to the 'TAP' port. 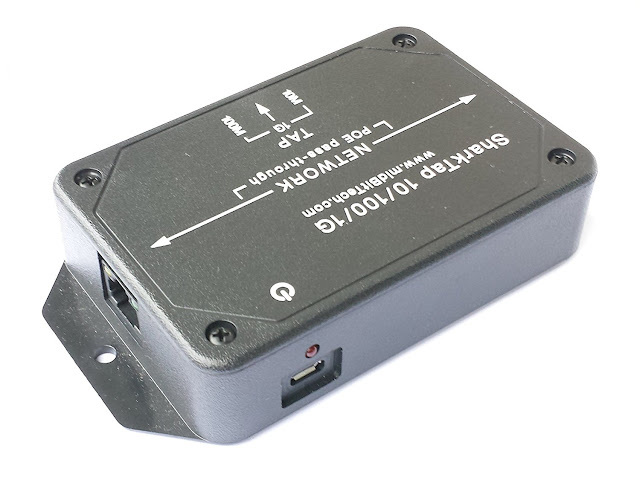 Powered from a micro-USB cable (included), draws 250mA or less. Other features: Auto-MDIX, so no crossover cables ever needed. Non-conductive enclosure. Will route packets from TAP to NETWORK ports as well.